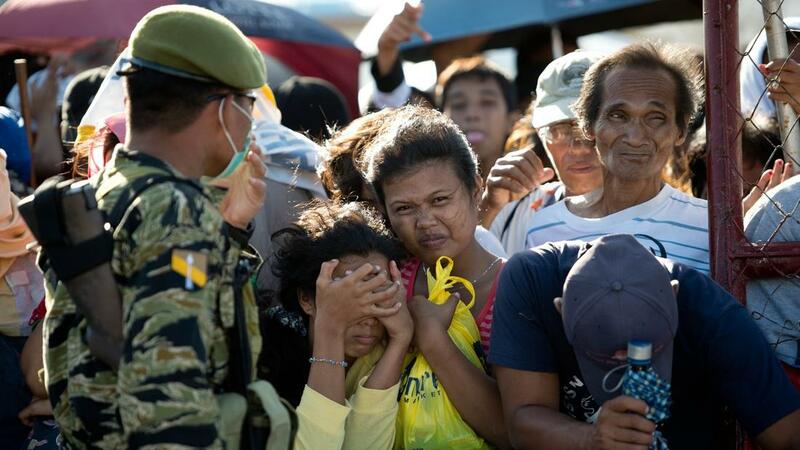 He and his girlfriend spent eight hours standing in line at the airport, scared for their safety and waiting for space on a military airplane that had been transporting relief supplies between Tacloban and the capital. Larsen estimates that there were about 1,000 people at the airport trying to do the same thing. Though he spent most of the typhoon safely in a basement of a home in a small village near Tacloban, it was the aftermath that shook him. The village sustained only minor damage, but a few miles away nearer to the coast was a different world. The typhoon destroyed countless lives, houses and other buildings and left Tacloban without power or communication on Sunday. Residents were running out of food, water and other vital supplies. But in many cases, he acknowledged, desperation and a need to survive were driving people to break the law. “People are thinking, ‘If I don’t steal this, how am I going to feed my children in two to three weeks,’” he said.